SAP Vora is an in-memory, distributed computing solution for Big Data in business world. When the whole world is facing the challenge of big data, Vora provides a platform to derive meaningful business insights from the huge amount of data generated by various businesses. Release of Vora 1.0 got great customer response and various SAP partner companies are including it in their landscape to tackle the problem of big data. On September 14, SAP released Vora 2.0 for GA. Vora 2.0 will revolutionize big data analytics big time with its awesome features. 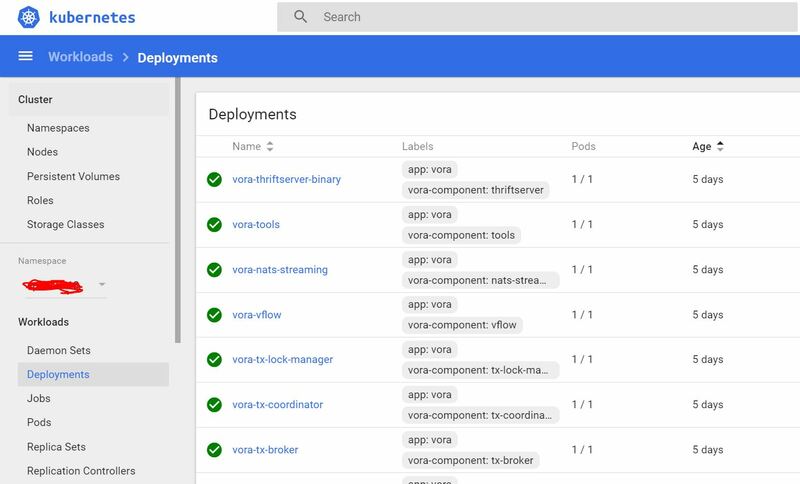 Vora 1.0 is on-premise based installation but Vora 2.0 supports on-premise, cloud based and hybrid based deployment using Google Kubernetes and Docker containers. It supports both kerberized and non-kerberized Hadoop clusters. It also has dynamic provisioning of nodes which will make “PAY as PER YOUR USE” easier if future. Easier user management and accessibility. Enhanced security module during deployments and access. The architecture has changed a lot and caters to both cloud and on premise needs of Vora. Kubernetes is the basic pre-requisite for Vora 2.0 and later versions. 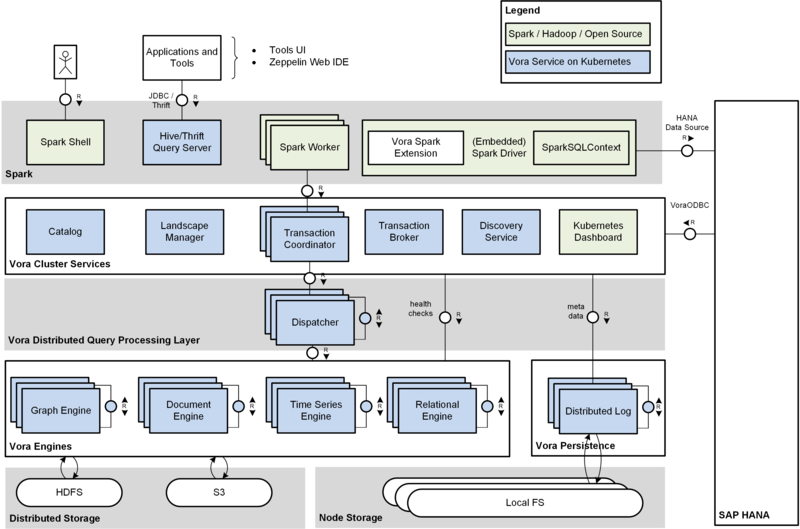 Kubernetes is Google’s open source platform to manage cluster and automatically deploy, scale and control operation of application containers. In kubernetes applications are deployed in form of Docker containers and services. So, it makes the installation of applications faster and easier. Also, management, upgrading and scaling of applications becomes more efficient. Since Docker container images are light weight, the resource consumption will be minimum. Kubernetes has facility to replicate deployed service or application to ensure proper functioning even if any node in cluster goes down. Isolated container based installation will allow the customers to have multiple software in same infrastructure without hampering each other’s functionality. 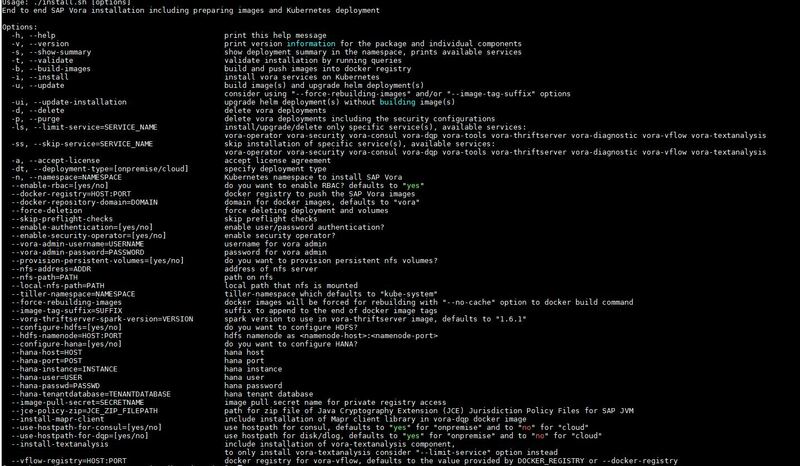 Vora 2.0 will be installed in Kubernetes as Docker containers. The Vora applications will get deployed as pods/services and can be accessed using Kubernetes host: port url combinations. This makes the cloud and on premise deployment easier and help in maintaining/upgrading/installing Vora applications easier. The installation steps are new and does not match with previous versions of Vora. Install kubernetes on cluster with minimum 3 nodes cluster with one node as master and rest two as worker nodes. Helm ,docker registry and NFS server should also be installed as prereq. Provide all the necessary security and system parameters. Run the command ./install.sh –help to get the list of optional parameters and along its descriptions. If you have multiple ports then do a hit and trial on ports to get proper ports.But usually it port starting with number 3ZZZZ. There is a particular reason why we reach the service Vora “internally” and it is not exposed publicy with an Ingress ?